The IPL season is here and we can’t stop ourselves from bringing intriguing statistics and insights to you from this mega event. The 12th edition is scheduled to begin on the 23rd of March when the Virat Kohli-led Royal Challengers Bangalore to take on the MS Dhoni-led Chennai Super Kings. The Chennai Super Kings are the most successful team in this tournament and will be looking to lift that coveted trophy once again in this season. The defending champions have always boasted of great power hitters and street-smart batsmen in their squad over the span of 12 years. From dashing openers like Mathew Hayden and Mike Hussey to superstars like Suresh Raina, Dwayne Bravo, and MS Dhoni, CSK always had a great set of batsmen that bowlers feared to bowl at. As a result, the team has managed to make it through an incredible 7 finals in the 9 years they have played. While many have struggled against the men in yellow, few of them have indeed enjoyed success against this mighty side. As we prepare for the final countdown for the IPL, we will look at 5 such bowlers who have been the most successful against the Chennai based side. 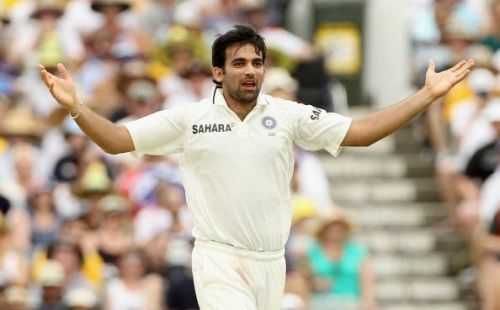 At number 5, we have one of the most prominent bowlers India has ever seen - Zaheer Khan. A great exponent of pace and reverse swing, Khan is one of the most successful bowlers to have ever played for India. One of the pioneers of the knuckleball known for outsmarting batsmen, Khan has even enjoyed great success against the Dhoni-led side from Chennai. In the 13 games he has played against them, Zaheer has picked up 16 wickets at an impressive average of 22 and an economy of 7.6 runs an over. Zaheer has always been a deceptive bowler and his accuracy against the left-handers is second to none. Zaheer Khan has been a part of Delhi Capitals, Royal Challengers Bangalore and the Mumbai Indians. Currently, Zaheer Khan is part of the Mumbai Indians as a Director of Operations.